Pathira Kaali Temple is the most prominent Hindu Temple in Sivakasi. This Saivite temple is dedicated for the worship of Goddess Parvathi who is worshiped in her fierce avatar as Pathira Kaali Amman. 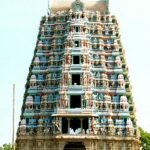 This temple has a well adorned 7 tiered Rajagopuram which is about 110 feet tall and is on the Temple’s southern side. 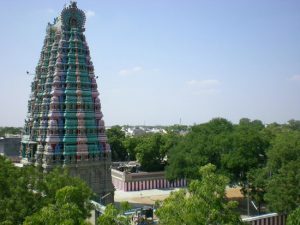 This is the tallest Temple Tower in Sivakasi. The presiding deitiy of this temple is Goddess Pathira Kaali Amman. 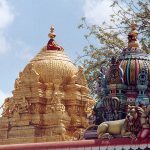 Lord Shiva, Lord Murugan, Lord Vinayagar are also worshiped at this temple. Pathira Kaali Amman Temple in Sivakasi is located at 9°27’23.8″N 77°47’51.7″E or 9.456608, 77.797700. 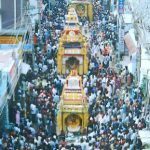 There are several festivals celebrated at this temple of which the most important are Chitirai Thiruvizha and Pournami Pooja which are celebrated in a grand manner.